Tourism in East Africa: A tool for development? especially when it comes to wildlife. It is a region busting with vibrant culture and amazing people known for their welcoming hearts. 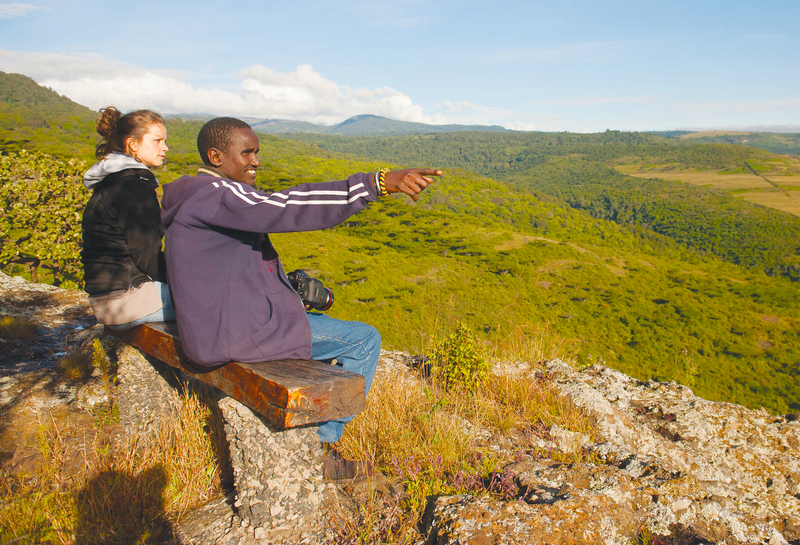 The East African tourism sector is filled to the brim with potential. For instance, Kenya is known for its long list of tourism destinations .From the Maasai Mara where the majestic wildebeest migration starts to camping with the Maasai who have remained in touch with their culture. Hiking around Mt. 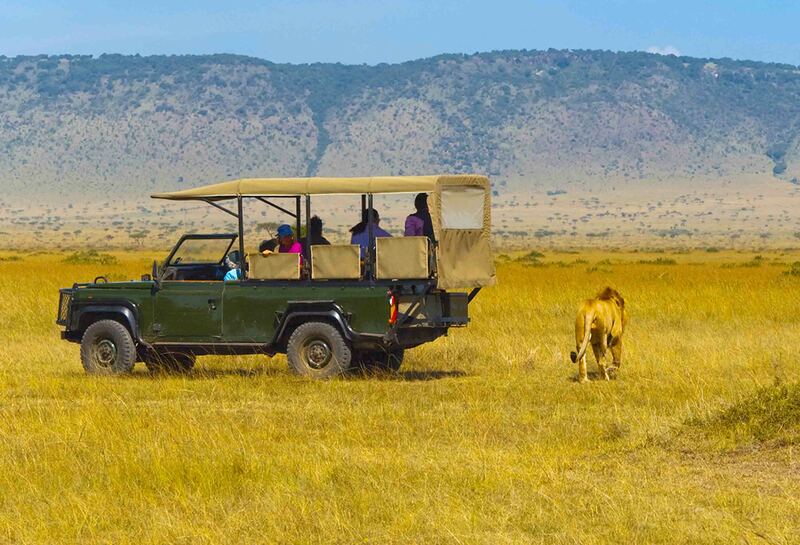 Kenya or heading to the national parks or the Swahili beaches and get to experience the Swahili culture at its best. Burundi is known for its stunning beaches. Rwanda is known for its memorable, up-close experience with mountain gorillas. Tanzania is not only a rich culture destination but it has great sceneries.There is Mt Kilimanjaro, which is Africa’s highest point, to Serengeti where the wildebeest arrive from Kenya, the Ngorongoro crater for remarkable and candid wildlife viewing. After that you can head up to Zanzibar for a more urban experience and explore the breathtaking beaches and the old stone town, among other archaeological sites. Finally we have Uganda, tourists can visit Mountains of the Moon in Ruwenzori National Park, they can experience world-class whitewater rafting in Jinja, which happens to be the source of River Nile .Uganda is also known for its elusive mountain Gorillas, which can only be spotted at Bwindi Impenetrable National Park. With all these beyond amazing destinations, one can’t help but wonder why East Africa’s tourism sector is yet to bask in its full potential. The East African Governments views tourism development not only as an integral stake for national development, but also as a means to ease poverty, generate foreign revenue and contribute to wildlife conservation. Recently, three of the East African countries (Kenya, Uganda and Rwanda) launched an online portal in a bid to market the regions as a single tourism destination. The online portal is a one-stop shop for information on tourism products, destinations and experiences with the objective of augmenting access to information. Kenya Tourism Board Chief Executive Officer, Betty Radier said, ‘’ the regions were coming together to make it easier for the tourists who would love to visit the countries.’’ She also added that thanks to the improved roads and air connectivity between the neighbouring nations, the tourist will now be able to easily travel and access the different destinations they wish to visit. This is a great move that is bound to increase tourism in the region, especially since it not only attracts a price-conscious traveller, but also strengthens the region’s relationship. They also launched an East African tourist visa . According to the WEF 2017 Travel and Tourism Competitiveness Index, it is revealed that Kenya’s travel and tourism sector is the most competitive among the four East African economies. The report also ranks Tanzania in first place when it comes to earnings from tourism. Tanzania made $2.2 billion from the tourism sector , while Uganda comes in second at $ 1.1 billion, Kenya is in the third position at $ 723 million, and Rwanda came in the fourth position at $ 317 million. Tanzanian’s tourism sector seems to be doing great thanks to a successfully developed premium tourism model, which targets high-spending tourists. The country enjoys an average of $ 2,020 per arrival, which is more than twice that of second-placed Uganda. According to the same report, Kenya is the most dependent on employment generated by or related to the tourism industry. The tourism industry accounted for more than half a million jobs in Kenya, which is 3.5% of the nation’s total employment. Uganda is second in absolute terms at approximately 470,000 employment opportunities. That is about 3.1 %of its total work force. Paradoxically, Tanzania comes in third with just over 380,000 jobs; this is because the country has developed a unique high-end product that does not need many local jobs to draw in the foreign exchange from tourists. The survey also indicates that Kenya is one of the best in the region when it comes to government prioritisation and bureaucracy in the tourism sector. The quality of hotels and infrastructure in the country is highly regarded .The country is only dragged down by safety and security and price competitiveness. The nation has suffered a series of negative travel advisories due to the terrorism threats. The Kenyan government has however been working hard to fight terrorism and have increased security measures. Kenya has poor price competitiveness; this is brought about by Kenya’s relative strength of the Kenyan shilling compared to the neighbouring countries and the high cost of living in the country. This has led to a negative impact when it comes to attracting a price-conscious tourist. Tanzania scores highly in price competitiveness owing to the relatively lower cost of living and its weak currency. It is however let down by its business environment, tax regime and competitiveness. It is also very hard to find skilled employees in the tourism industry because of the drag on staff training and the degree of customer orientation. Rwanda scores high on safety and security and business environment and logistics. The country also boasts highly effective marketing campaigns to promote the Rwanda brand. The country’s weakness comes in the lack of natural assets since it is a small, highly populated nation. It also has very few tourism infrastructures. It also ranks poorly on the price competitiveness. Uganda is attractive to the price-conscious tourist. The country’s main weakness is in its infrastructure and the fact that the government has not prioritised the tourism sector as much as it should. It has the weakest marketing and branding in the region. The governments, especially the Kenyan government are working to continually improve its infrastructure and put in place effective campaigns that will attract more tourists and investment in the sector. The recently launched SGR electrical train is said to help boost local tourism and give a scenic journey to travellers. The governments have worked together to launch fairs such as Karibu fair and exhibitions, which are meant to showcase the wildlife safari beach, culture and heritage and business investment opportunities in East Africa. In February this year, Kenyan Cabinet Secretary, Najib Balala announced that international tourist arrivals in the country had increased by 16.7 percent. He said it was a clear sign that the tourism recovery campaigns were effective. He also hoped that the trend will continue. Rwanda for one has been doing a lot of brand campaigns. Last year, the “remarkable Rwanda” campaign gave the country a robust upsurge in the tourism sector. It also got a huge boost through conference tourism. For instance, the Kigali convention centre opened its doors to host the African Union Heads of State Summit, which gathered African presidents and other high-profile individuals from across the continent under one roof. In 2016, Rwanda welcomed thousands of international conference and event visitors. In Tanzania, Alloyce Nzuki, the Deputy Permanent Secretary in the Ministry of Natural Resources and Tourism said that the government is working to also boost its tourism sector. He said the government particularly focused on heavy investments in marketing, hospitality and infrastructure to boost tourism in the nation, specifically the southern and western tourist circuits. “The government will also put a lot of emphasis on investments in heritage sites to attract more tourists visiting historical areas,” said Nzuki. He said most of the tourist who visited the country complained about poor roads, airport infrastructure and hotels. He added that the government was committed to developing and promoting sustainable growth in the travel and tourism sector in the nation so as to preserve its natural and cultural resources. On the other hand, Uganda has been working hard on the ‘pearl of Africa’ brand campaigns. Last year, the country launched the Pearl of Africa Tourism Expo, which was really successful .It also hosted Africa’s first ever birding expo at the Botanical Gardens Entebbe. This exposed Uganda as the world’s premium destination in Africa. The country has continued to regulate its tourism sector by boosting and effectively marketing itself as the best African destinations to visit. John Ssempebwa, deputy Chief Executive Officer of Uganda Tourism Board said that there is still more room for improvement. He urged his fellow Ugandans to continue promoting the country as a world class travel destination. He added that they were on the right track. He reaffirmed that they were fully committed to transforming the Ugandan tourism sector by refining their marketing strategy. The East African tourism sector still remains an untapped gold mine but hopefully, the region will begin to expand its infrastructure and focus on marketing and branding East Africa as the ‘go-to‘ destination. With the right marketing strategy, good infrastructure, government support and political stability, East Africa is bound to attract more tourists. Now that the countries are coming together, it will go a long way in establishing the region as a hot destination point. East Africa is a beautiful region with innumerable attractions, great people and is oozing with rich cultural heritage . It has a lot to offer all kinds of tourists. It has the promise to wet the appetite of any thrill–seeker. Its untamed yet stunning scenery, its hospitable inhabitants and its pulsating culture are bound to give travellers not only the time of their lives, but unforgettable memories under the famous hot African sun. This article was written by CHRISTINE SIAMANTA KINORI. Next Article Ghana: Reducing Poverty Through Tourism?